Paul Walker's mother has agreed to halt action to take guardianship of her 15-year-old granddaughter if the child's mother agrees to go to rehab. THE mother of the late actor Paul Walker has said she will no longer fight for guardianship of his only daughter, if her mother goes to rehab. Rebecca Soteros, Walker’s ex (and mother of 15-year-old Meadow) reportedly has a serious drinking problem and two drink-driving charges under her belt. Ms Soteros’ alcoholism is believed to be behind the reason why Meadow moved in with her father three years ago, but now Ms Soteros has reportedly agreed to go to rehab in order to keep custody of her daughter. TMZ is reporting that Cheryl Walker agreed to end the fight for Meadow once Ms Soteros successfully completed rehab and promised to undertake drug testing after her stint. 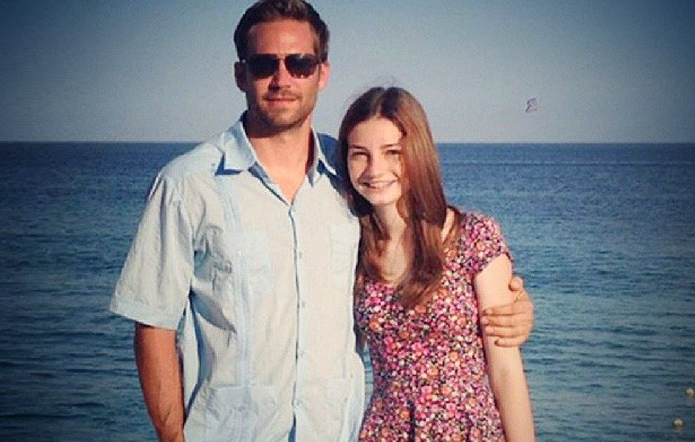 Meadow is currently staying with her late father’s family. It was also revealed that Paul Walker had asked his mother to become his teenage daughter’s guardian only hours before he died in a car crash.